Is it really that time of year already?!?! Well, we know one thing is for sure…Prom 2016 is right around the corner!!! We know these dresses will be selling out QUICKLY! Be sure to stop in to get a head start on Prom Dress Shopping!!! 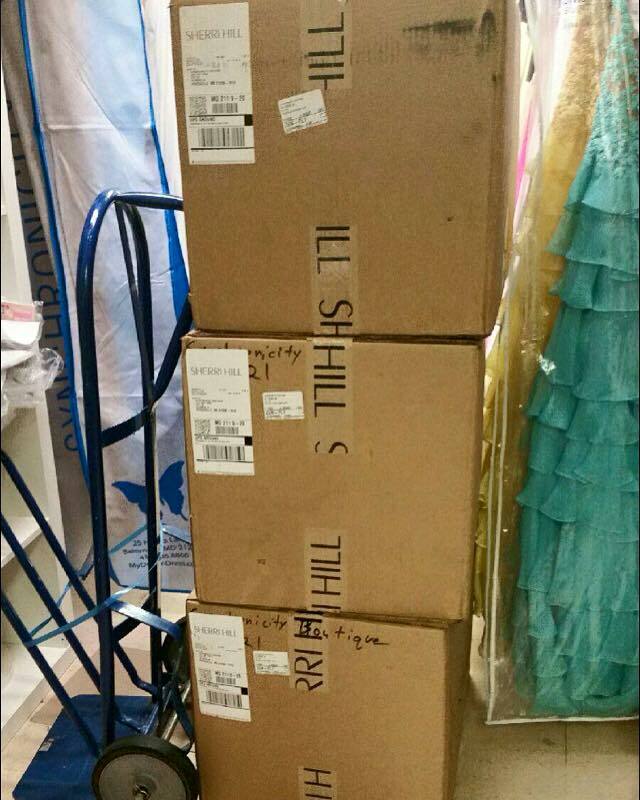 Spring 2016 Sherri Hill dresses are coming in DAILY!!! We are in #LOVE with these dresses!! Jovani is #Bringing it this year! This two-piece by Sherri Hill is going to be a HIT at any prom!! This beautiful laced JVN by Jovani dress brings a little bit of spice with the nice! To mark this momentous first blog occasion, I decided there is no better time to share the HOTTEST fashion trends for Prom 2016! I was lucky enough to be able to travel to Atlanta’s World of Prom convention with the BEST co-workers from Synchronicity Boutique. I sat through soo many amazing fashion shows from the best designers. That’s right, I saw prom 2016 dresses from Sherri Hill, Jovani, Faviana, Blush, Josh and Jazz, Dave and Johnny, Eleni Elias, Mac Duggal, Madison James, Mori Lee, Mon Cheri, House of Wu and so many more!!! It was a fashionista’s dream come true! I even met the ACTUAL DESIGNERS! Sherri Hill was unbelievably nice! Enough about me…..Let’s talk prom 2K16 trends…. Madison James is #BringingIt to this year’s prom! If you love Jovani, you will be strutting it in two-pieces, cutouts, and mesh…I.Am.Excited! Floral patterns will be a must for Sherri Hill gowns!